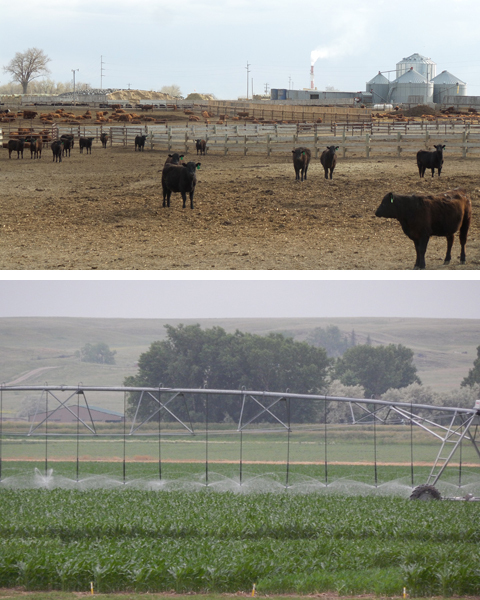 We currently feed 4,000 cattle annually in our feedlot, along with farming approximately 4,000 acres. Initially, dairy calves were raised to springers and sold to dairies in Idaho and South Dakota. To support the feedlot, Steve revived his passion of farming and started growing alfalfa and corn in 2003. As time went on, changes happened in the dairy industry, out went the dairy calves and beef cattle were brought into our feedlot.